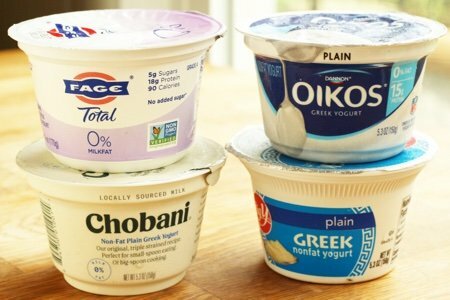 This non fat plain Greek yogurt review is in response to readers who want someone else to go try all the options. 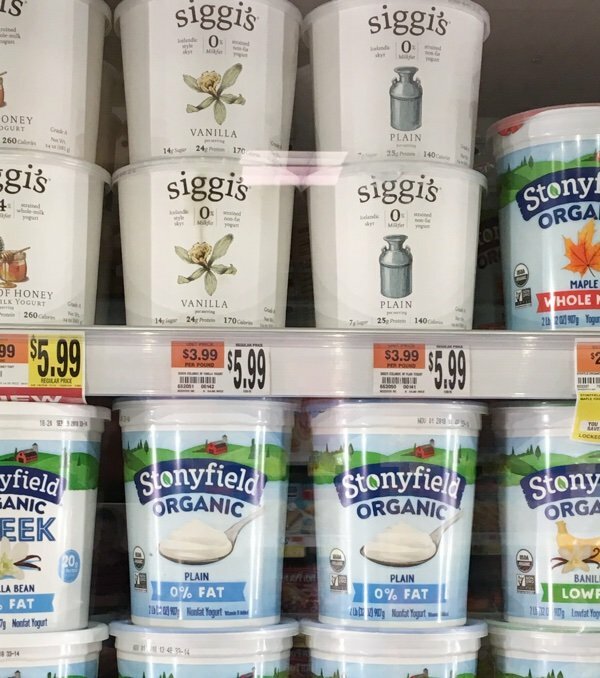 I have happily bought many yogurts - check out my Chobani Greek Yogurt review and Siggi’s yogurt review to try to find the ones worth buying. The last time I dove into yogurt, many people asked me what I thought of the plain options. I was unaware that most of the big yogurt brands were selling 5 ounce sized plain yogurts. It is a great idea because I usually add fruit or granola to my yogurt and I buy large containers like this for home use. But, if you want portable packaging and you want to avoid added sugar - these are perfect. I have bought these on vacation when I am staying in a hotel and don’t have bowls (and don’t need a large amount). The good news is that 3 out of 4 of these is worth buying. The first I took a look at was FAGE. These come in zero fat, 2%, and 5% in the plain flavor. FAGE is the most expensive and the most unique. It has a very thick texture and it has 18 grams of protein and 90 calories. It is a bit chalky and I find that the zero fat version isn’t as tasty as the fattier version. It is sour but not too sour and I think it is a a great choice (if you don’t mind a little chalkiness). 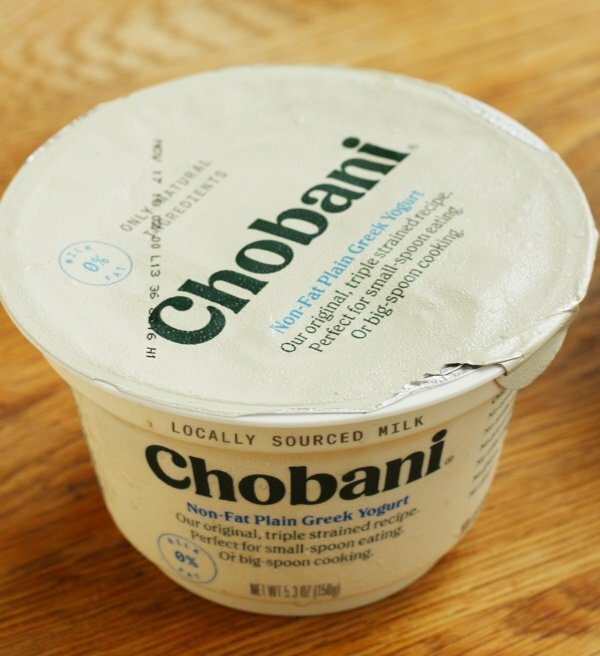 Chobani and the following yogurts all have 15 grams of protein and 80 calories per container. This cost me only $1 on sale and was less thick and more creamy than the FAGE version. I thought it tasted pretty bland and not very sour but I did like the texture. It would be hard to go wrong with this one. I did like it and would buy it again. Dannon’s Greek yogurt is called Oikos and it cost me $1.49. This one tasted the most yogurty of the bunch. It was sour, tasty, and creamy all at the same time. If you really like yogurt (the sour punch) - this is the one for you! I think it is also one that I would buy again. Finally, I decided to try a store brand (89 cents) to see if there was any difference. Do you wonder about store brands and whether you are just spending money needlessly on the NAME brand? This one is from Big Y which is a supermarket chain in the North East. I shop there often and I buy their brand of cheese, sour cream, butter, and other things. This yogurt was the absolute worse in the bunch. It had a strange texture and a bitter aftertaste. Maybe I got a bad batch but I would not buy this again. In this case, the big brand items were much better. It makes a great snack and quick breakfast when you are on the road. 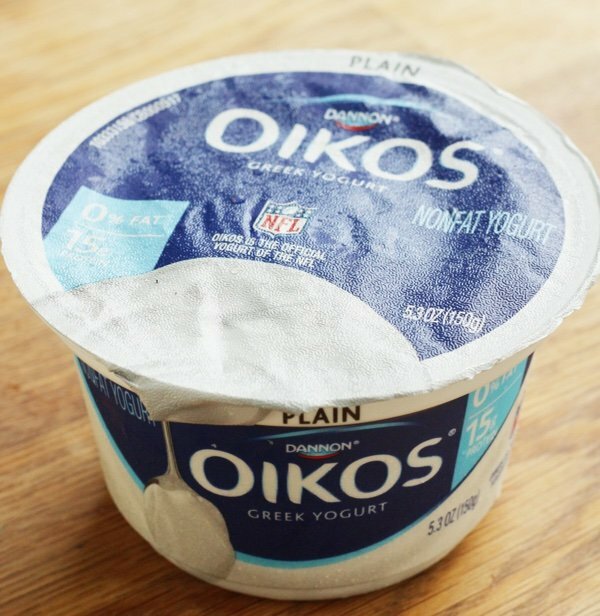 Which brand of non fat plain Greek yogurt is your favorite? Do you buy the small containers or only the big ones? Thank you for this review Lisa!! Don’t bother trying the Kirkland Plain Non-Fat Greek. I did not like it at all and tossed it. I have recently tried making my own yogurt again with great success. Little investment and I am experimenting now with different starters. Ton of info online for those who are interested. I use the “heating pad” method as that’s what I had on hand and read the crockpot method was runny. I then strain it for Greek! 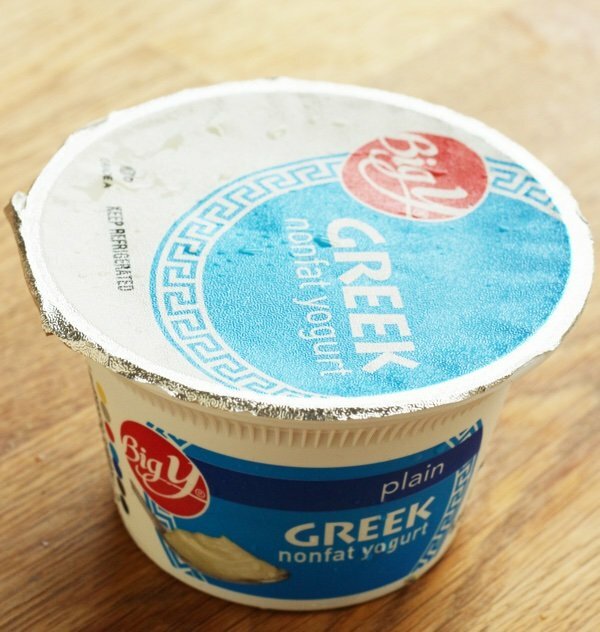 I love the Great Value version of Greek Yogurt Non-Fat. I add in two Stevia sugar packets and one tablespoon of peanut butter for a post workout snack. If I'm in the mood for dessert, I'll do that plus some graham cracker crumbs. When I buy, I purchase Fage 0% or 2%, depending on how rich I want the yogurt to be. I think fage is the best, but my only issue is that sometimes the yogurt has a “plastic” flavor from the container. So most of the time, I make my own in my Instant Pot. Absolutely delicious! I love Trader Joe's 0% Plain Greek Yogurt in the big blue container. I also add some Splenda, fresh berries, and unsalted sunflower seeds for the crunch. Best Greek yogurt I ever had was in Santa Monica at a place called GO GREEK! Unfortunately, they only have these stores in California! 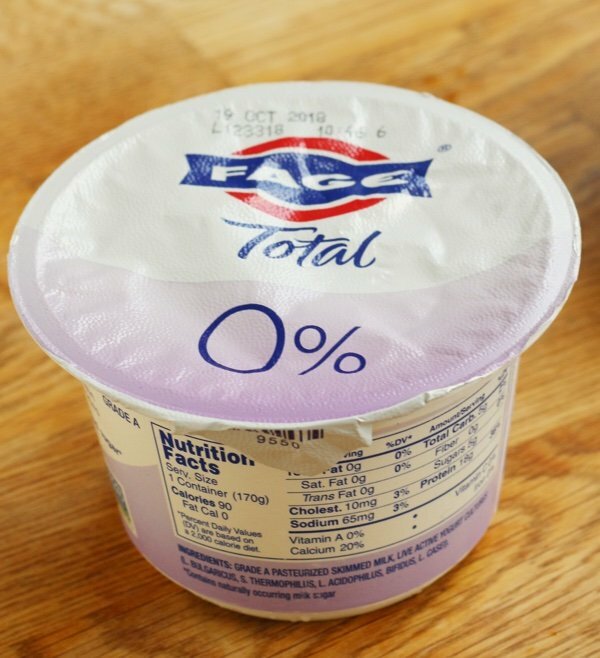 I prefer Fage 0% plain to all the others. My Costco has the Fage 0% all the time, in fact it was on special the month of September. When the individual containers are on sale, I stock up. If they are sealed/unopened its not going to go bad, no air has gotten inside the container. I have tried the Aldi's Greek non-fat plain but I really like Fage plain 0% the best. I sprinkle cinnamon on it when I eat it plain. Most mornings I have it with a serving of blueberries. Like you mentioned - for travel purposes,when I vacation in Pennsylvania, I buy the store brand in the local supermarkets which have Best Yet as theirs. For .89 per single serve, that's just right for me. I add fresh fruit and am good to go. At home, I put anything from pureed pumpkin and some pie spice or some sugar free syrups to jazz it up when I want some dessert. Otherwise, it is usually fresh fruit and maybe a spoon of granola. Yum. I love the Friendly Farms Plain Greek non fat yogurt at Aldi. It is smooth and delicious and only three ingredients. and a little cereal with it. Delicious! On the west coast, I find Nancy's nonfat plain yogurt to be the absolute best. Not only does it have the tart flavor and a good texture, but it contains 45% of your daily calcium in only one 8-ounce serving. Also, there are no weird additives in it. My second choice is Trader Joe's European style plain nonfat yogurt. This has a similar taste but a slightly different texture than the Nancy's. Most store brands out here have various kinds of additives like gelatin or other ingredients none of us would use if we were making our own. Thanks for the review. Now I know what to buy if I'm visiting relatives out of town. Good to know that there are a couple of organic nonfat plain yogurts in the bunch. I prefer to buy organic milk. I'm a Fage fan, and lately, after deciding that some fat from yogurt isn't a bad thing for you, have been using small bits of 5% to get a richer, sour cream like taste. But mostly I stick to 0%. I like to flavor it with fresh fruit and a tablespoon or so of very low sugar cranberry sauce that I make each winter and freeze for later use. (I think Snack-Girl led me down the home-made cranberry sauce path.) I've also kept the fruit from home-made liquour and mixed that with yogurt (at the end of the day). Mostly, the plain yogurt gets mixed with cold-coffee frozen-banana smoothie on a daily basis (from a Snack-Girl reader inspired recipe/comment). Thanks for the review! Very interesting. 2% fat with less sugar (so they claim). I like it. Best price I've seen is 4 for $5. I will buy all the brands. I get an even bigger large size at BJ's (in the northeast). But I do love Fage and can definitely tell the difference in the fat content for taste, so I try to mix it up a bit and not eat only full fat or or only fat free. The way I love to eat my plain yogurt is with a cut-up apple and lots of cinnamon! It can be a snack OR a meal. But I will also do it with any kind of berries or stone fruit and sometimes a sprinkle of granola. It's also good to use to top things such as chili instead of sour cream and to make a vegetable dip or tzatziki. I always buy the large Fage (Fah-yay). This is great for just about anything especially smoothies. I used to love plain Yoplait with date sugar added. Date sugar is delicious if you have never had it, give it a try. It is almost impossible to find plain Yoplait anymore. It is creamier and smoother than Fage. I use TJ’s Greek yogurt as a substitute in my tuna or chicken salad. Great review! Thanks for noting the "sourness" of each as I am sensitive to sour and avoid it when I can. I usually make my own plain yogurt, and I faithfully drain off the whey so it doesn't "sour" as fast. I love it when it is fresh, and find I add more fruit or whatever to it as it ages. I usually buy Chobani for my starter. My favorite is Aldi's brand of plain yogurt. I buy the large size and make my own small containers adding ground chia seeds, cut up strawberries & blueberries. This is my go to snack at work. I also love Costco’s Kirkland organic brand yogurt and Fage 0% Greek yogurt. Both are available at our Costco. Like Chobani plain Greek yogurt from Sam’s too. Those three are the best for making “cheesecake” because they are thick and creamy. I like to top a scoop of plain yogurt with HOT peaches, or applesauce. I also like to mix in pumpkin pie spice and a small bit of canned pumpkin at this time of year.